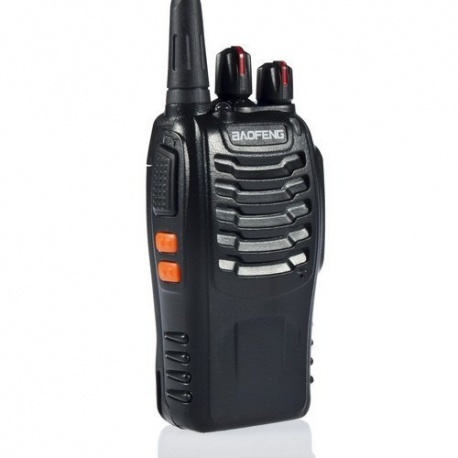 The Walkie Talkie Baofeng BF-888S Plus operates on the UHF band from 400 to 470MHz with 3 watts maximum on amateur radio band 430MHz. It has 16 programmable channels (with cable programming), a 1500mAh battery, CTCSS / CDCSS, VOX function, a battery saving mode with low voltage alarm and an integrated lamp. 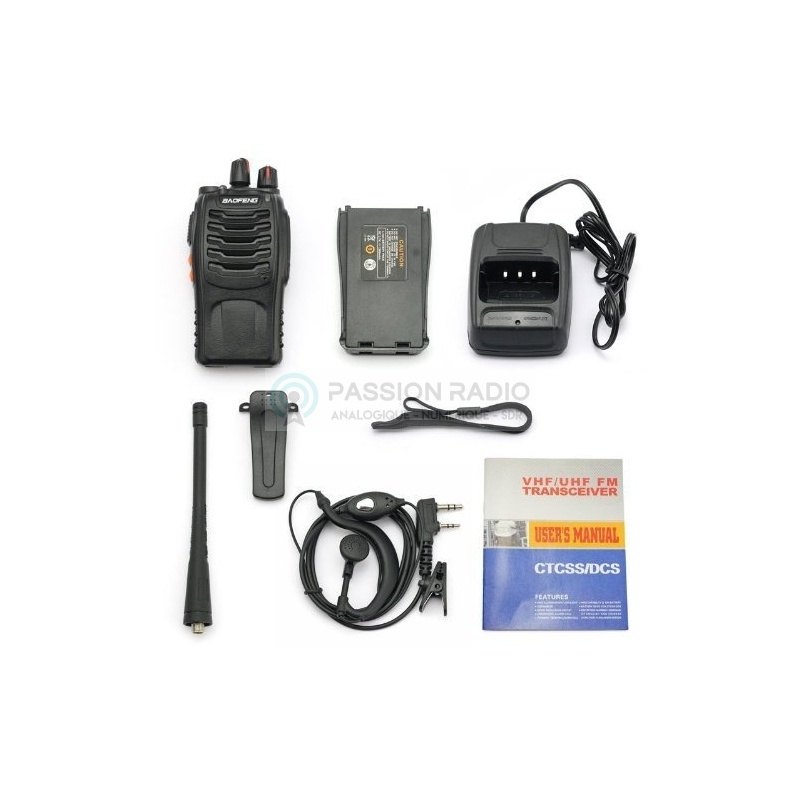 Comes complete with: Walkie Talkie BF-888S, 220V desktop charger, belt clip, UHF antenna, 1500mAh battery, strap, micro-headset and manual in English. 2 years warranty by Passion Radio Shop. To improve performance in reception and transmission, add antenna SRJ77CA Diamond (40cm) or SRJ701A (19cm). Description: The Walkie Talkie Baofeng BF-888S Plus operates on the UHF band from 400 to 470MHz with 3 watts maximum on amateur radio band 430MHz. It has 16 programmable channels (with cable programming), a 1500mAh battery, CTCSS / CDCSS, VOX function, a battery saving mode with low voltage alarm and an integrated lamp. 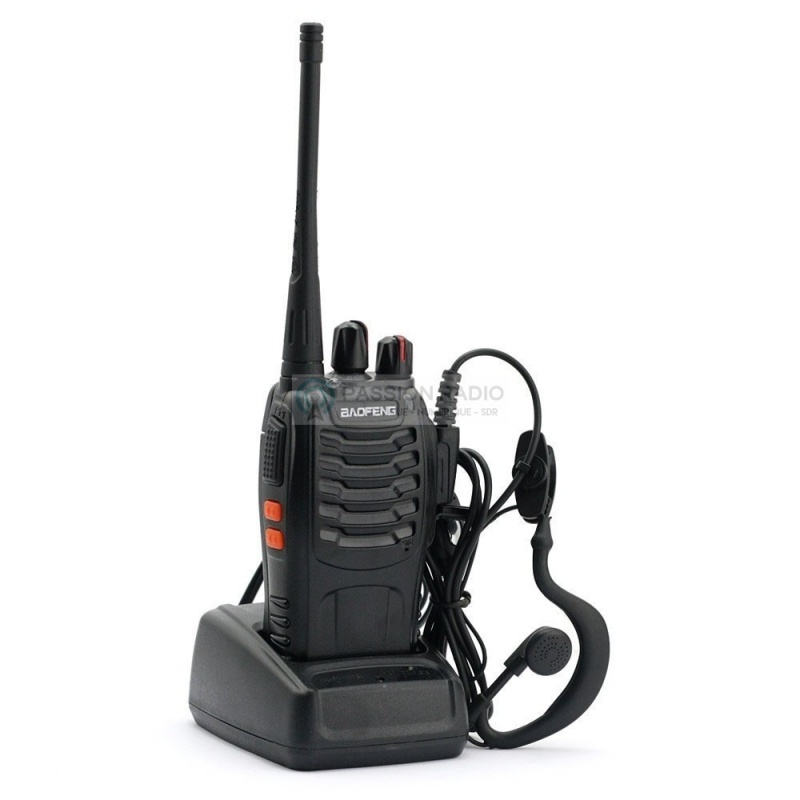 Comes complete with: Walkie Talkie BF-888S, 220V desktop charger, belt clip, UHF antenna, 1500mAh battery, strap, micro-headset and manual in English. 2 years warranty by Passion Radio Shop. Communication distance: Around 1-2 kms To improve performance in reception and transmission, add antenna SRJ77CA Diamond (40cm) or SRJ701A (19cm).